The Mt. 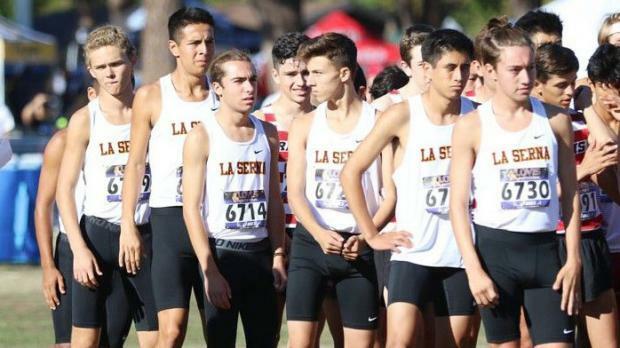 SAC and Riverside Invitationals shed additional insight on a number of the top teams in the CIF-Southern Section. Several league finals have already been contested but here we are - LEAGUE FINALS WEEK! Five of the top seven teams opted to rest their varsity groups two weekends ago and prepare for the postseason. 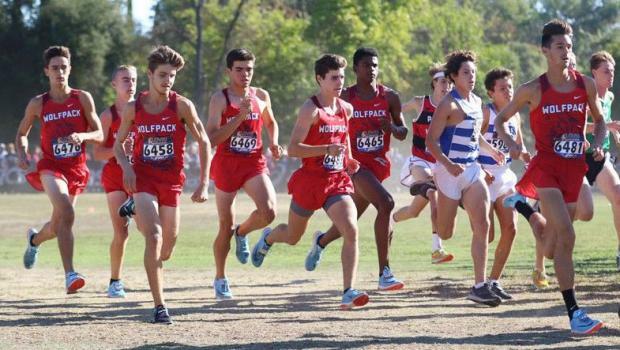 This week we have expanded our Southern Section Boys Team Rankings to 25 teams! Some of the teams that moved down are not demotions by any means! But we found that a number of teams were under-ranked after seeing what they put together at Mt. SAC or Riverside two weekends ago. Not even at 100%, they still dominated all challengers to capture the Mt. SAC Sweepstakes (75:33 team time) once again, against a strong La Costa Canyon group. Chris Verdugo, who had been their No. 4 at best this season, rolled to a 15:00.8 to showcase their front-running depth. Their JV Sweeps squad would've been 4th overall in our Southern Section-only merge of Mt. SAC and right on the edge of our Top 10 overall! That same squad also dominated the action at last weekend's Apache Invitational! Rested main varsity crew with top JV kids competing at the Riverside Invite. No. 7 Thomas McDonnell was 16:03.3 there while five others ran under 16:35. They will continue to be loaded next year as well! Rested out varsity team with all others competing at Mt. SAC. No. 7/8 Yoon Cho shined with a 15:59 while three others broke 16:30. This squad is getting ready for the battle that awaits at the Division II Finals in several weeks! Rested out varsity team while all others competed at Riverside. But some VERY impressive results from their 'JV' crew as Josh Kutcher (15:36.5) and Ryan Broadhead (15:40.3) may have earned varsity spots with their performances. Four others broke 16:30 as well. Rested out varsity team while we got to see the debut of Alexis Romero who ran 16:45.4 at Mt. SAC. Getting prepared to take on a strong Saugus squad and an improving Canyon group at the Foothill League finals. Based on what we've seen over the course of the season, this was their first subpar effort which is why we still have them ranked so high. Perhaps no team peaks their athletes better in November and has a turn style of talent that can occupy those five scoring slots. No other top squad has been more conservative in their racing schedule. But, as impressive as the scarce results have been, this crew was as impressive as ever in sweeping the Sunset League - Wave division! 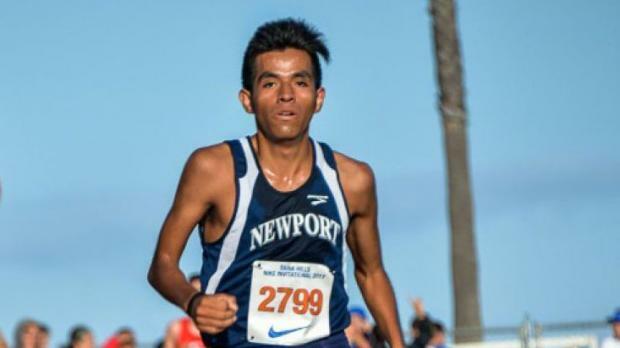 But, in combining both divisions into one races, what truly stood out was Ryan Smithers racing right with Orange County Championships winner, Alexis Garcia, to the end. Eye-popping was that the entire scoring group was only 34 seconds behind Garcia! Could this squad, perhaps, be.... under ranked!?! This is the first time since Woodbridge that we've seen them compete, at full force, against other top sectional squads. They passed the test with their 3rd place finish at the Mt. SAC Sweeps. Without much competition at their league finals, they can now focus on November 17 at the Division I Finals and see if they can break into the top three. This squad has bounced back well after a hiccup at Clovis. Very impressive 78:23 team time at Mt. SAC, was directly behind LB Poly and Loyola at the Southern Section-only Mt. SAC merge. Michael Mireles is underrated and one of the most improved in the section. A solid group that looks to shake up that top echelon of talent at the Division II finals. Mt. SAC was an off-race of sorts for the Falcons, while they also moved a new face into the varsity lineup. We're rest assured that this squad will be ready to take on a persistent Arcadia squad at the league finals. Their No. 4 was about 50-60 seconds behind his usual efforts while Dylan Wilbur will be closer to Manan Vats during the postseason. Wow! We had them on the radar, but they've hidden their cards so well, until Friday's Mt. SAC Div. III Sweeps! They edged out Palos Verdes in what ended up being the best team competition of the Mt. SAC Invite! And, they still don't have all of their weapons! Perhaps, no squad lost more to graduation last year and next to Loyola and Crescenta Valley, this is the most impressive turn-around of any team. They finished 2nd to Ridgeview last Friday afternoon in a preview of the State Meet next month. The team has been slightly 'off' since the Bob Firman Invite but their 79:18 team time was only a little off of what we had them pegged. But having West Torrance leapfrog in the Division III rankings is about as loud a wake-up call as can imagine. Add Division III as another great CIF Finals matchup next month! The Mustangs are difficult to read as they have only had one solid effort, as a complete team, and that was an uncontested effort. We are standing by them here as when you put all of the pieces together, they have a group that can finish amongst the top 10 in the section. The Mustangs prevailed by coming from behind over the last 200 meters, to outlast ML King, 38-41 at the Big 8 League Finals. We've been waiting to see what the Running Lions could put together in those last three scoring slots as we are all aware of the two best for Division IV in Anthony Grover and Peter Herold. They surpassed our expectations placing three within a 45 second range in the Mt. SAC Individual Sweeps. The Chargers trained through last weekend but their No. 10/11 Spencer Kandel, ran a 16:13 at the Riverside Invite. OC Champs runner-ups have only run three hard races this season and will be fresh as expected for the postseason. Clovis was a hiccup for sure. 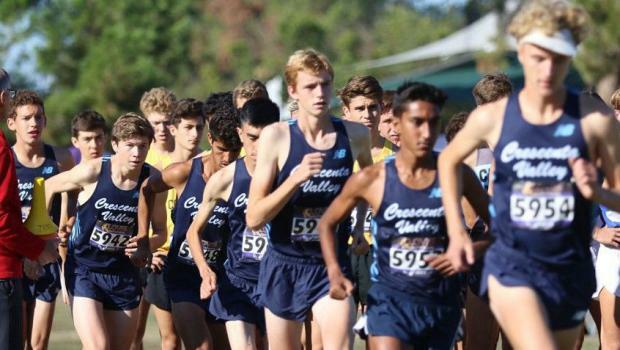 This crew may not be able to match Crescenta Valley in their league, but will still be there to grab a spot to the state meet in several weeks. A tough performance at Mt. SAC has us scratching our heads here. Their tight scoring gap ballooned up to 1:38 and this was the second race in a row that one of the front runners did not finish amongst their top five. At their best, they have the ability to be much higher of course. They have several weeks to get back to that solid five that all finished strong and within 30 seconds of each other. We finally got to see what this squad could do against high-level competition. They barely nipped Arcadia in our Southern Section-only merge at Mt. SAC. Noah Hibbard impressed in breaking 15:10 but the 1:38 team time gap does worry us when running up against a deeper field of those Division II schools. Most of their varsity squad trained on the Riverside course beforehand but did race their younger guys. No. 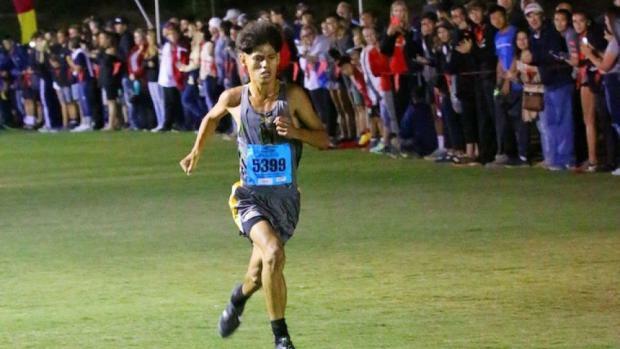 6/7 Matthew Cary ran a 16:03 and based on what the rest of his team has done, compared to him, we have them finishing right up there with ML King and Woodbridge at the Riverside Invite. Surprise winner of the Riverside Invite as they snuck in there ahead of Woodbridge on a 23-second scoring gap! We had them just outside our Top 25 last week but this young group continues to build in confidence with every race. Garrett Vasta leads his underclassmen here as all seven finished within 33 seconds of one another. (By the way, King does not ever train on the Riverside course so no 'home field advantage' there.) ML King had the lead for most of the race at the Big 8 League Finals, but Roosevelt prevailed, 38-41. The Warriors remain where we previously had them. 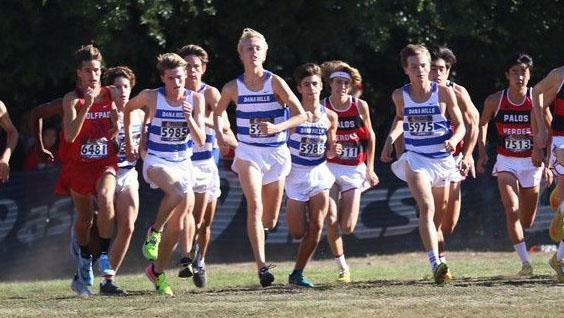 We knew that the Orange County Championships were not indicative of their talent and they proved us right at the Riverside Invite. Brett Knutson (15:02.6) displayed why he is among the best in his division and rest of his crew responded well in taking 2nd place by only three points to ML King. The Mustangs ran well at the Riverside Invite while actually, it may have been their best race of the season! With that, putting all of the numbers together and some new squads catapulting onto our list, we feel that this a more accurate place for them. Josh O'Neill continues to prove why he's one of the best in Division I while we continue to see some inconsistencies in a couple scoring slots. San Clemente not only pulled off the upset at the Sea View League finals but they outdistanced Trabuco Hills by 22 points - we'll need to do some reshuffling here this weekend. They sat out the past two weekends. They are not being punished by being moved down for it, but as we posted above, we were able to receive more insight on other squads as many leapfrogged here on this week's rankings. We will not be surprised if we under-ranked this group here in several weeks. They sat out the last two weekends. Same exact thoughts as we had with Simi Valley. Tough squad that will give West Ranch all they can handle at the Foothill League finals but we had a number of squads that surprised this past weekend and moved up. Saugus likes to prove us wrong though. On the radar: Aliso Niguel, Beckman, California, Capistrano Valley, Canyon, Chino Hills, Corona del Mar, Foothill, Highland, Mission Viejo, Redlands East Valley, Redondo Union, Tesoro, Vista Murrieta. Others: Gabriel Abbes (Great Oak), Ben McKenna (Aliso Niguel), Raul Chavez (Roosevelt), Ryan Cowgill (Claremont), Carrick Denker (Dana Hills), Sebastian Fisher (Laguna Beach), Noah Hibbard (Arroyo), Mateo Joseph (Great Oak), Brett Knutson (Woodbridge), Andrew Martinez (Ayala), Josh O'Neill (Trabuco Hills), Jeremiah Rasmussen (Hart), Aaron Reyes (Claremont), Ethan Ronk (Newbury Park), Robert Ruelas (Loyola), Daniel Rush (Golden Valley), Isaiah Seidman (West Ranch), Ryan Smithers (Laguna Beach), Manan Vats (Crescenta Valley), Dylan Wilbur (Crescenta Valley).